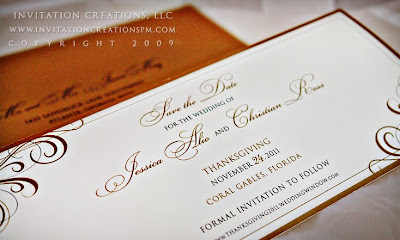 Invitation Creations, LLC Blog: Thanksgiving Save-the-dates! So that's my excuse, but I'm back trying to catch you guys up on what's been going on with Invitation Creations, LLC. With it being a destination event as well as an event on a major holiday, Jessica was wise to send out her save-the-dates almost a year in advance. I always recommend sending out invitations for destination events or events on major holidays a little earlier if possible. Since Jessica was so on the ball with her save-the-dates, it gives her guests enough time to plan, prepare and save if need be! Here are her save-the-dates and I can't wait to share her invitations with you guys next!! 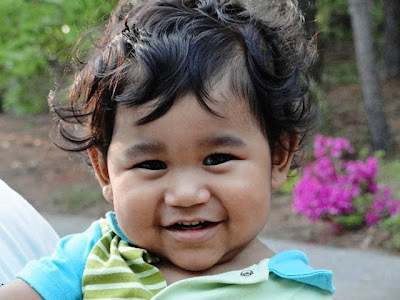 He is adorable. What a wonderful distraction. Dd you say something about Thanksgiving wedding invitations?